SAM POLLARD (Executive Producer). Sam Pollard’s documentary and feature film accomplishments span 30 years. 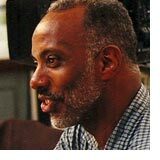 He was a producer/director for Blackside, Inc.’s Eyes On The Prize II, for which he won an Emmy Award, and co-executive producer for Blackside’s six-part series I’ll Make Me a World: A Century of African American Art. 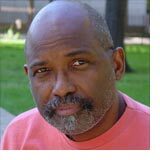 He served as producer and editor of When the Levees Broke: A Requiem in Four Acts. Additional producing credits include Spike Lee’s Oscar- and Emmy-nominated Four Little Girls; his editing credits include the feature films Clockers, Iron Mike, Mo’ Better Blues, Jungle Fever, and Girl 6. 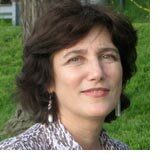 NANCY D. KATES (Producer/Director) is a filmmaker and writer based in Berkeley, California. She is a graduate of Stanford University’s documentary film and television program, where she created a number of short films; her M.A. thesis film, Their Own Vietnam, received the 1995 Student Academy Award in Documentary. 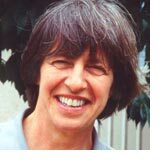 She is a former producer of Computer Chronicles, the PBS series, and has worked as a producer, writer, and story consultant on various documentary projects. Kates is a former staff writer at Harvard’s John F. Kennedy School of Government, and also works as a writer, consultant and futurist. Her latest film, Regarding Susan Sontag — a feature-length documentary on the brilliant critic, novelist, director, and activist — premiered at the 2014 Tribeca Film Festival and was broadcast on HBO. 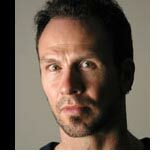 BENNETT SINGER (Producer/Director), a New York-based filmmaker and book editor, has served as producer/director or associate producer of a number of acclaimed documentary series, including the Emmy-, Peabody-, and duPont-Columbia-winning Eyes On The Prize II, With God On Our Side, and The Question of Equality. 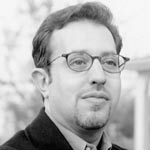 He co-directed Electoral Dysfunction, a feature-length documentary on America’s dysfunctional voting system; hosted by political humorist Mo Rocca, the film aired nationally on PBS and won multiple awards. The former executive editor of TIME Magazine’s education program, Singer is the editor of 42 Up, the companion book to Michael Apted’s famed documentary series, and editor of the award-winning anthology Growing Up Gay/Growing Up Lesbian. With his husband David Deschamps, he co-authored LGBTQ Stats, published in 2017 by The New Press. MRIDU CHANDRA (Co-Producer) has been producing social-issue documentaries and narrative films for the past decade. She recently completed a teaching residency in Lahore, where she helped to establish Pakistan’s first university film program at Beaconhouse National University. She currently teaches film and video at The New School and New York University. In addition to co-producing Brother Outsider: The Life of Bayard Rustin, she produced the documentary Let the Church Say Amen, which premiered at the Sundance Film Festival and aired on the national PBS series Independent Lens. Most recently, she has produced the narrative feature The Dissection of Thanksgiving (forthcoming). VERONICA SELVER (Editor) has been an award-winning documentary editor for over 20 years, with credits on such highly regarded films as On Company Business, the Academy Award-nominated Berkeley in the Sixties, Harry Bridges: A Man and His Union, Absolutely Positive, Coming Out Under Fire (ITVS, 1995) and, Blacks and Jews, which premiered at the Sundance Film Festival in 1997. 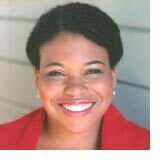 She also produced and directed KPFA on the Air and an episode of the 1996 ITVS series, Positive: Life with HIV. Her codirecting credits include You Got to Move, First Look and the duPont-Columbia Award-winning Word is Out, the first feature documentary on growing up gay in America. 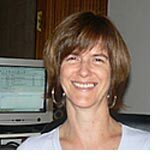 RHONDA COLLINS (Editor) is an accomplished documentary filmmaker and editor with 15 years of experience. Her documentary works include OUT: the Making of a Revolutionary (2000), which screened at festivals throughout the world and received the Audience Award at the Paris Lesbian Film Festival; We Don’t Live Under Normal Conditions (1999), which received a limited theatrical engagement on the West Coast and aired on PBS affiliate KQED; and Slender Wooden Crosses: the War Continues in Nicaragua (1989), which aired on PBS-affiliate stations across the country and received First Prize for International Investigative Journalism at the Halwalls Contemporary Video Festival in 1990. PRUDENCE ARNDT (Director of Archival Research) has alternated between directing/producing documentaries and archival research. She was associate producer on Eyes on the Prize I, nominated for an Academy Award. She directed The Real Life of Ronald Reagan (Frontline) and produced Want in the Midst of Plenty (The American Experience), and other PBS and independent films. As head of the research unit of The Century for ABC News and NHK, Japan, she directed the global footage search for the 25-hour series. She has found archival footage and stills on numerous films, including The Endurance, Looking for Answers (Frontline/NYT-TV), Who Killed Martin Luther King? and John Kerry. 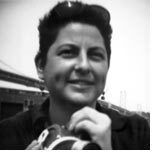 She co-edited Footage 98, the moving-image reference book, and is working on a feature documentary on the history of American militarism. 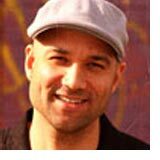 DAVID PETERSEN (Supervising Editor) recently completed producing and directing Let the Church Say Amen for ITVS. Petersen was nominated for an Academy Award for his documentary Fine Food, Fine Pastries. He directed and produced the feature-length documentary If You Lived Here, You Would Be Home Now, which premiered at The National Gallery of Art in Washington, D.C. He has served as editor on documentaries for public television and on theatrical releases including the Warner Brothers film Roger and Me; the feature-length documentary City at Peace, produced by Barbra Streisand; Family Man, a one-hour PBS special on fatherhood; The AIDS Quarterly, a WGBH series hosted by Peter Jennings; Loose Nukes and Back in the U.S.S.R., two documentaries for the PBS FRONTLINE Series. HEATHER M. SEARLES (Associate Producer) has served as an associate producer for two national PBS programs, Not In Our Town III and Livelyhood. She was also the coordinating producer of Heart Mountain-Three Years in a Relocation Center, a documentary about the Japanese-American internment experience. 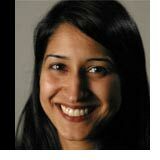 She has a Master’s Degree from San Francisco State University in Broadcast and Electronic Communications.